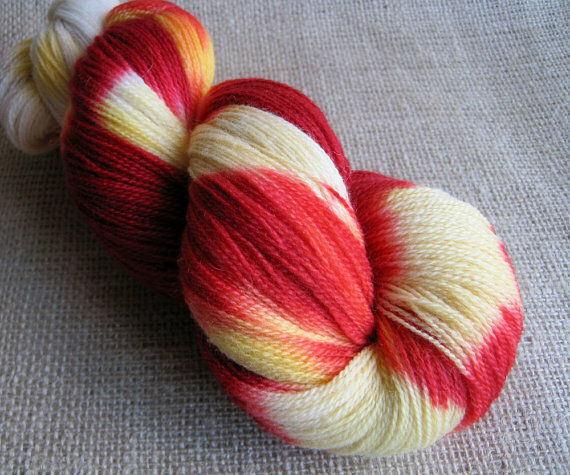 I was idly browsing Etsy last night and happened upon some interesting yarn! 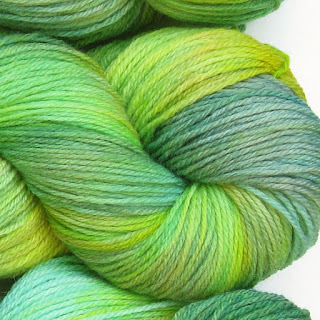 Although I'm on somewhat of a yarn diet, I figured I'd share it with anyone who was actively shopping. Etsy is such a great resource for handmade things, but it's also great for hand dyed and spun yarns, as well as recycled yarn! 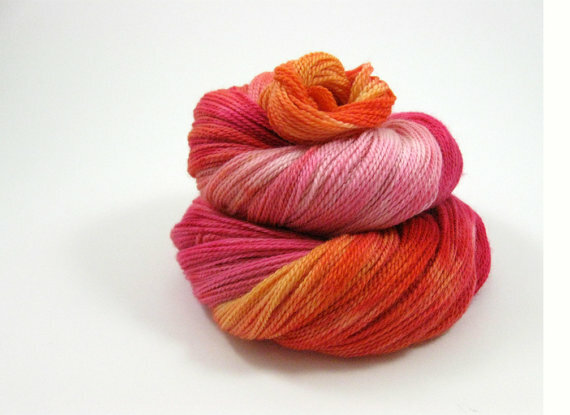 Great cashmere at reasonable prices, silks, and a guilt-free conscience for re-loving fiber that was given away. I love them all! That first one is really killing me! I can't wear green near my face, but I could see awesome gloves or iPhone accessories with it! Eeep! Wow, that first yarn is fantastic. Just the striping would make me want to knit socks--and I don't like knitting socks. 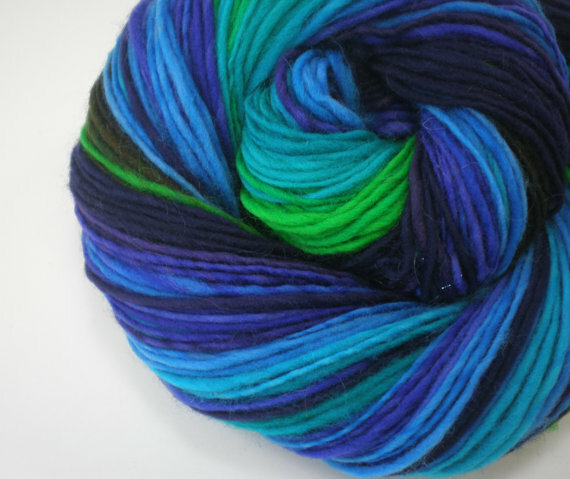 http://www.etsy.com/shop/playatlifefiberarts Always has interesting colorways and sells recycled & dyed yarn. Great running into you today. Sweater looks great so far. Can't wait to see the finished product! I LOVE that blanket! Amazing! Playatlife is a great shop, too, Katharine! Love them! And LRB never lets me down! Thanks for posting about my UFO yarn! 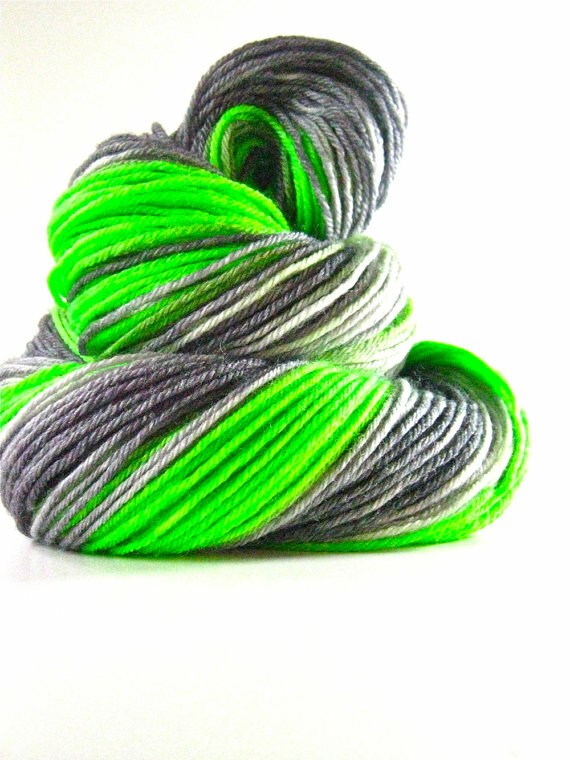 It's definitely my most popular colorway right now- people love that neon! Can't wait to see what you make with it. I think gloves would be awesome!